Hi All! I hope you had a nice weekend. My weekend has been extended, as I took today off to meet my friend for lunch and shopping. We are going to the Mall of America, so my plan is to pick up some more American Apparel polishes. I have my eye on Echo Park. We also plan to stop at Michael Kors and drool over their handbags. We both want one so bad, they are just a tad spendy and our husbands don't seem to be on board with the idea. We'll work on them though - perhaps it could be my birthday gift for the next 5 or 6 years ;) I really like this one! On to the manicure. This is my take on mismatched nails. I have been enjoying Sammy's blog, The Nailasaurus. I LOVE when she mixes and matches - and mismatches. I am no where near as talented as her and obviously don't do nail art, but I thought I'd grab a few different colors and textures and see what happened. 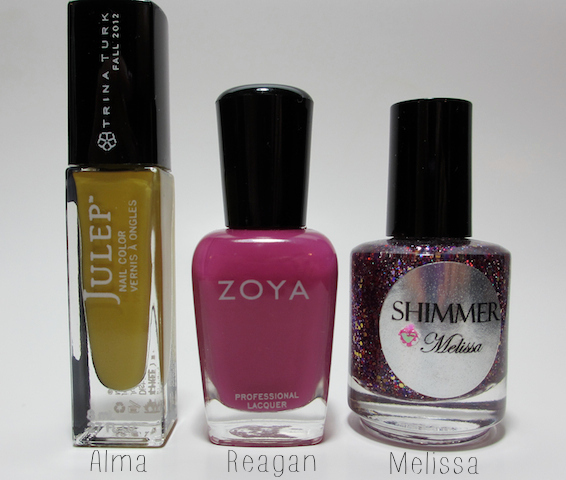 Here is what I used...Zoya Reagan (pink), Julep Alma ("dijon mustard creme"), and Shimmer Polish Melissa (glitter). When figuring out which colors I wanted to use, I decided to worked off of Julep Alma. Alma is a challenge for me as it wouldn't be a color I would be drawn to...ever. I think it's better than China Glaze Trendsetter, but not THAT much better LOL. It came through a little more yellow on some of my shots, but I think I was able to capture the greenish chartreuse-ness of the polish in the ones I decided to post. Alma was opaque in two coats and wasn't as hideous as I thought it would be. Maybe I'm branching out a bit...or maybe I am just going nuts. I thought Zoya Reagan went pretty well with Alma. Reagan is such a beautiful raspberry creme. It's so opaque and I have always loved it. Reagan is one of the Zoya's I recommend when people ask. When choosing a glitter accent, I thought Melissa looked like it would work great with these colors. Melissa is a densely packed glitter polish with a variety of sizes and colors. This is two coats of Melissa with nothing as a base. I have referral links at the bottom of my blog for Zoya and Julep. You can try Julep for free by using the code listed. If you would like to try Zoya, you can use my link and code to receive your first polish for free. 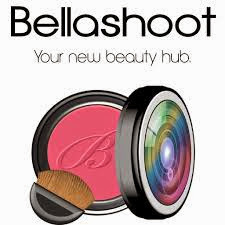 If you add two additional polishes to your cart, you will receive free shipping on your entire order. Please comment or email if you have questions about either one. I hope you enjoyed my take on mismatched nails. I think I'm going to try a few other combos in the future...it was kindof fun! 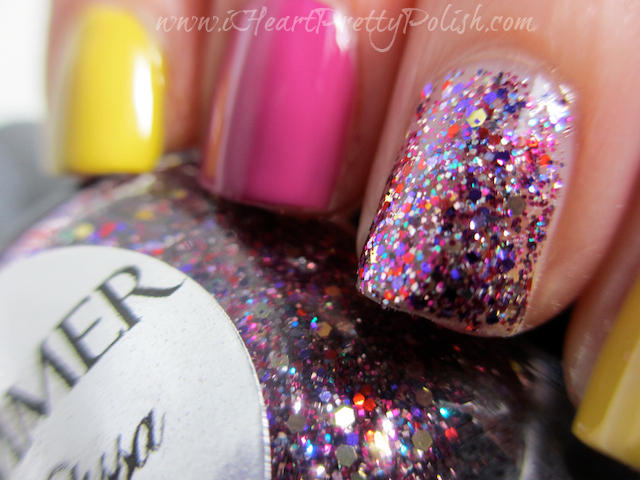 *Shimmer Polish Melissa was provided for my honest review. Please see the disclosure policy for more information. I like this combination, Essie! Really pretty! Have fun at the mall! Thanks! I was surprised how much I ended up liking it. Looks like a GREAT swatch to me! Yes, Shimmer Polishes are awesome. I love how you only need one or two coats. Really lovely! Love how the colour work together and the glitter just defines it all! Thanks - yes, they ended up looking great together. i think alma looks alright one you. i like unusual colors though. it's cool that you found a way to use it even though you don't love it. Love this color combo, what a fun one for Summer! This is a fantastic combination! Well, you successfully managed to make condiment-esque look cool :) I hereby designate Trendsetter your Mission: Impossible (if you can bear to spend money on it, that is, lol). I'm pretty sure you need that MK bag in your life but I know how hard it is to convince DHs of these things... Good luck and have a fun time at the mall! I really like your mismatched mani! I think you picked out a great set of colors to put together! We had a great time. It was so nice to wander and chat:) Thanks for the compliment on the nails! great mani, the glitter really ties it all together! Thanks. I thought it worked out pretty well. LOL, Melissa's post must've given you the boldness you needed to give a Trendsetter-esque color a try! Way to go! :-D Alma is definitely a baby step on the path to Trendsetter; I'm scared for you! Truly what I would call an "ishy" yellow. ;-) You're right though, in this combo, it really isn't too bad! I really like the first and the last photos - the first one looks spot-on color-wise, & the last one is so...simple & pristine; a great way to show the polishes in their bottles. :-) I must say, the wheels are now turning as to mismatched combos I could try...hmmmm.